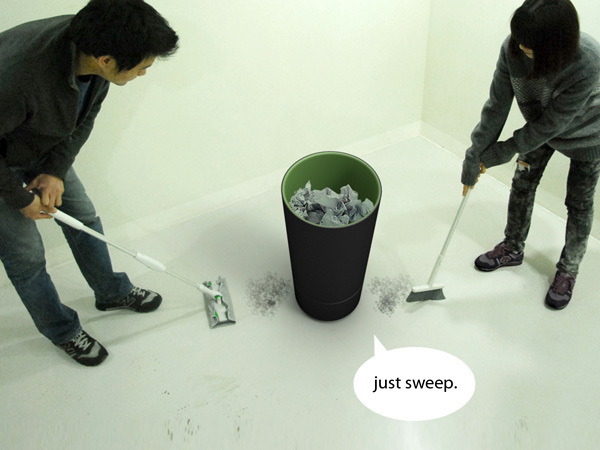 Collection of 'Innovative Vacuums and Unusual Vacuum Cleaner Designs' from all over the world. 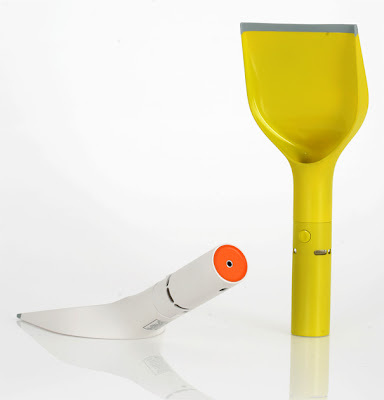 Dustpan Vacuum: Shaped as a dustpan, the vacuum system is inside the handles, that pulls up the dirt. 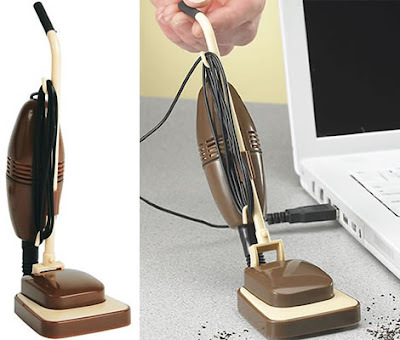 USB Mini Vacuum Cleaner: An 8 inch high cool retro designed vacuum plugs into your laptop's USB port and keeps your work area clean. 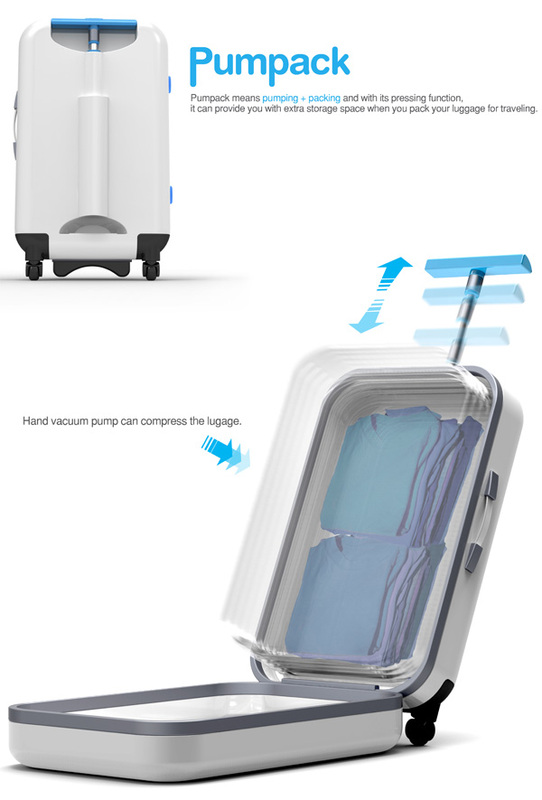 Basket Vacuum: It combines a regular trashbin and a vacuum cleaner; the top functions like a regular trashbin, and the base like a vacuum. 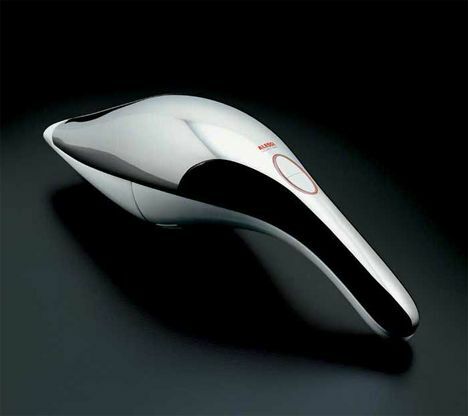 Handheld Vacuum Cleaner: A cool handheld vacuum cleaner design by Stefano Giovanonni for Alessi. Vacuum Broom: The broom pulls the dust inside each hollow bristle, and it comes with a dust pan. 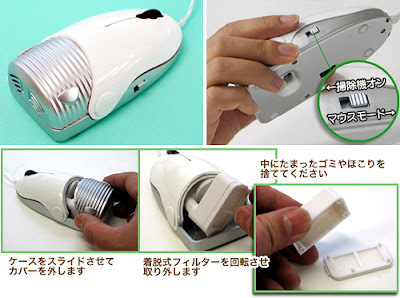 USB Vacuum Mouse: A creative combination of simple 800dpi optical mouse and a miniature vacuum cleaner that keeps your work area clean. 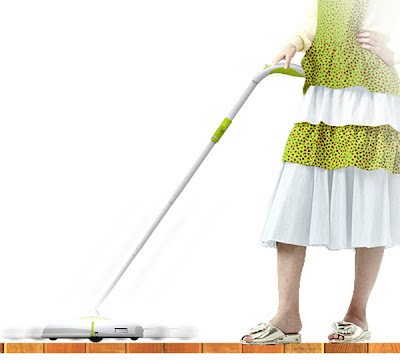 Giving Tree: It's a robotic vacuum cleaner. 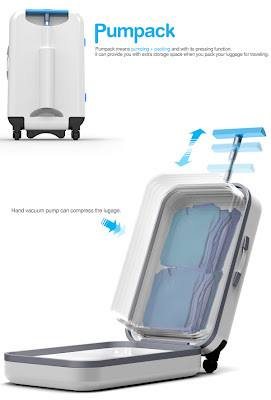 Pumpack: It's a vacuum packed suitcase, which comes with a pump to compress clothes to make more packing room. Miele Vacuum Cleaner: Miele vacuum cleaner comes with power-steering capability; it combines the very best of both worlds into one ultra maneuverable design, between upright and canister. 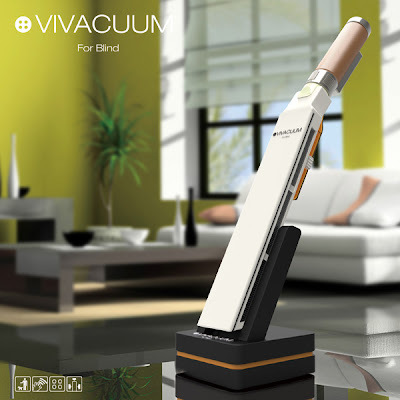 Vacbin: It's a hidden handheld vacuum cleaner inside the body of the bin. 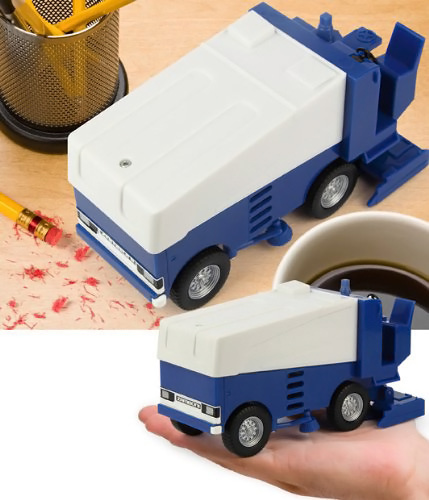 Zamboni Desk Vacuum Cleaner: It's a scaled down version of the Zamboni's resurfacers. 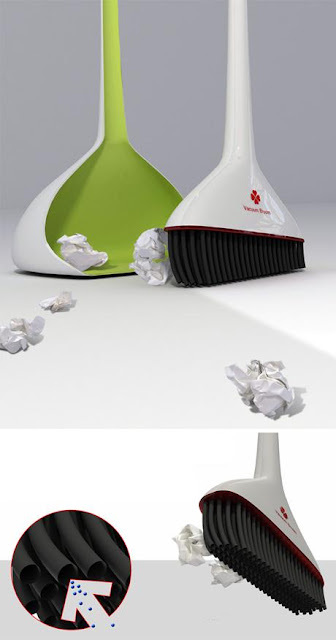 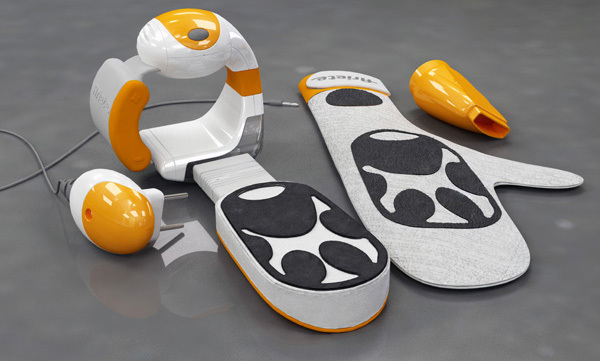 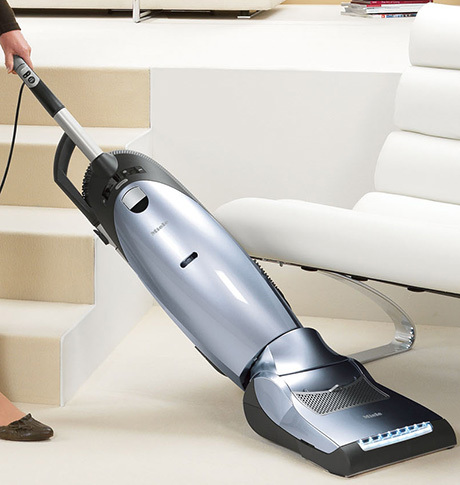 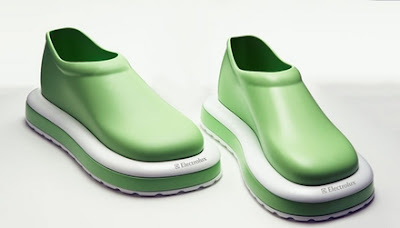 Don't miss to check out "Innovative Vacuums and Unusual Vacuum Cleaner Designs - Part: 1| 2." 15 Creative and Cool Bed Designs - Part 3. 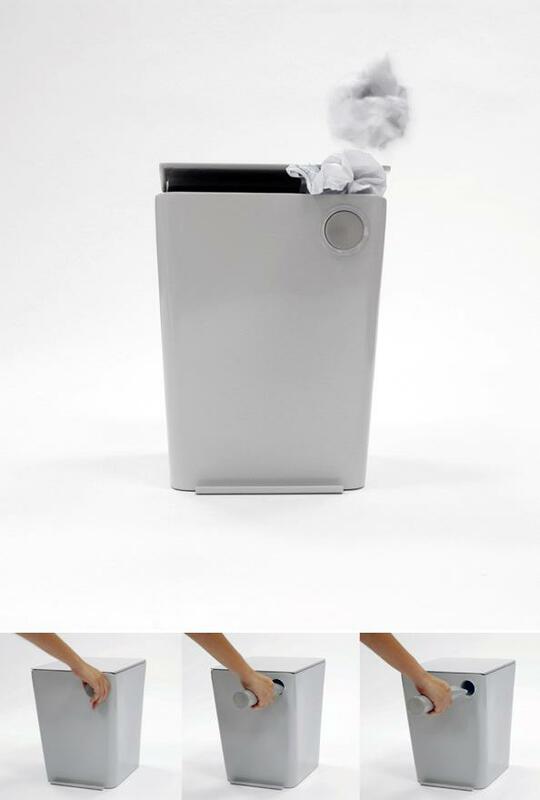 Creative and Cool Ways To Reuse Old Denim Jeans.